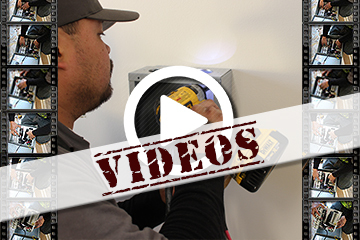 ProLine offers a range of helpful installation and "how to" videos for customers to download. These helpful videos allow installers to reference them on their mobile device while they are on site. This is invaluable to installers who encounter questions prior and during the installation. 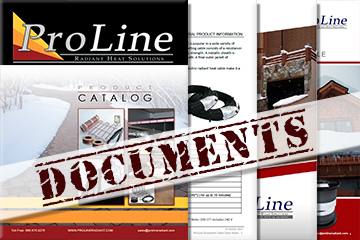 ProLine offers a variety of radiant heat product brochures, data sheet, installation manuals, technical guides and helpful illustrations for download. Visit ProLine Radiant's Specs, Documentation and Illustrations web page to view the various product literature and diagrams. 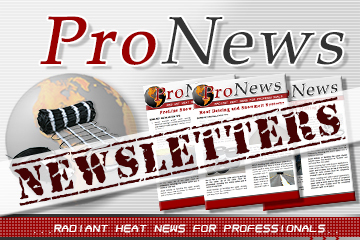 ProLine publishes a monthly radiant heat newsletter (ProNews) that typically contains the latest radiant heat product information, industry trends and other news helpful to installers. Informative "how to" guides are often included as well as other valuable information.